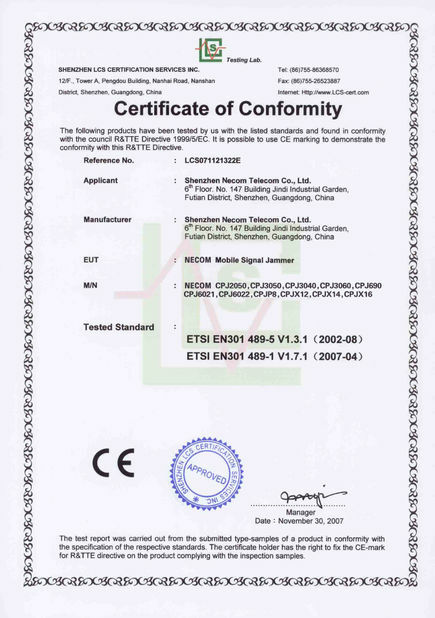 This product is a 5W signal shielder for each channel. The output power of each channel can be adjusted. 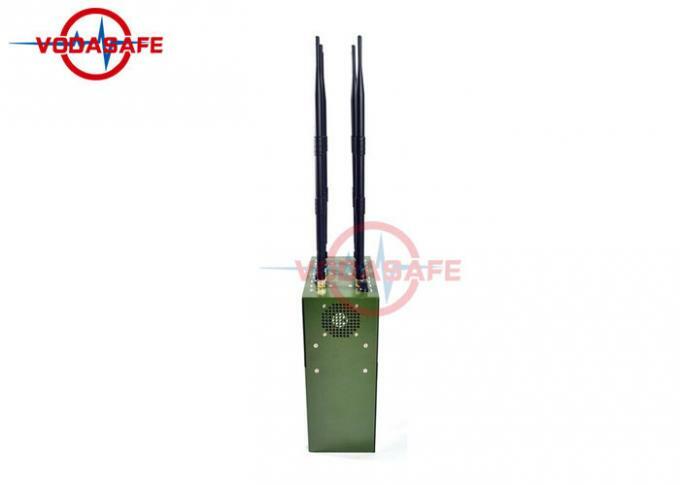 The shielding distance is 60 meters. Each channel is equipped with a 3dbi antenna. 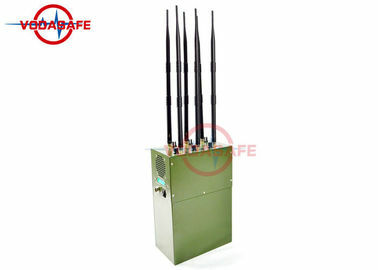 This signal shielding device is characterized by a power supply. Not only with the power supply to support 24H/7D uninterrupted work, but also equipped with a rechargeable battery, it can work continuously for two hours under full charge, so it is the balance between high power shield and portable power supply. 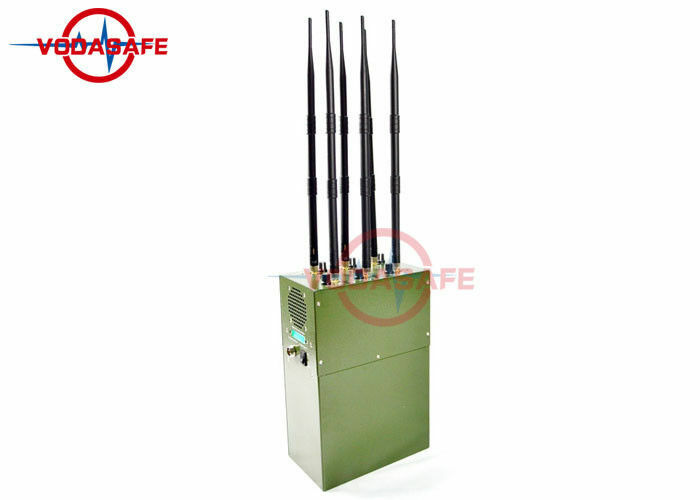 Body, very suitable for high power shields for outdoor portable use. 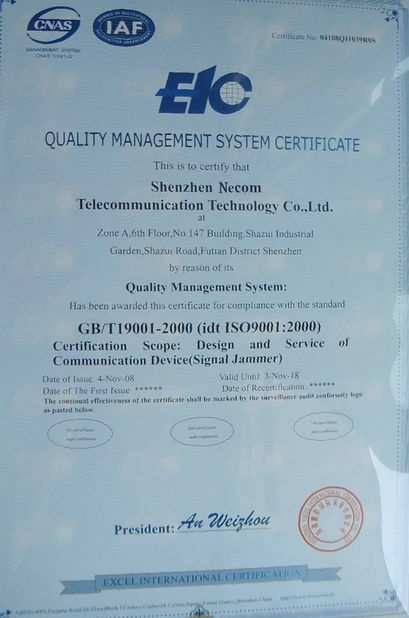 The outer casing of the shield is military green with a built-in fan, and the frequency section can be customized according to your needs. Please contact our customer service staff if you need it.